As is the case in most northern European countries, various kinds of electronic, or digital, literature for children and young adults have been available since the late 1990s with some earlier examples. Libraries started to offer access to electronic literature in the early 2000s. Before this, CD-ROMs and disks offered a way to distribute electronic material of mostly non-fiction characters, such as encyclopedias and games. As access to digital devices of various kinds increased, more and more electronic formats for children’s literature appeared. Today, all major publishers in Sweden offer electronic versions of many if not most of their titles. applications for smart phones and tablet computers. Publishers such as the various publishers within the Bonnier group (Bonnier Carlsen specializes in books for children and teenagers), Faber&Faber, Rabén & Sjögren, Opal, and Natur & Kultur publish EPUB format e-books for sale through online vendors: the most common are Bokus (www.bokus.com, now owned by Akademibokhandeln) and dito (dito.se) that specializes in e-books and audio-books. Apps for mobile devices are sold through the channels for the various devices: AppStore, Google Play and so on. Apps are often more multimodal, and can include audio and video which EPUB formats do not allow for. According to The Swedish Publishers’ Association (the trade organisation for the Swedish book-publishing industry) e-book sales have had a slower rate of expansion than in the United States, U.K, France and Germany, but are now expanding rapidly in Sweden. The percentage of e-book reading of all reading is still fairly low, about 1%, and e-books represent about 2% of the overall sales for publishers. The annual sales of children’s literature in Sweden represent 346 M SEK out of which 0.8% are e-books and 1.2% are audio books. The more recent apps-development for children is fuelled by the increasing use of mobile devices such as smart phones and tablets. Statistics regarding app sales are harder to find and such figures do not always appear in statistics with e-book sales. Nevertheless there are experiments with digital publishing for children where book characters or stories are blended with elements of interactivity, games or puzzles. 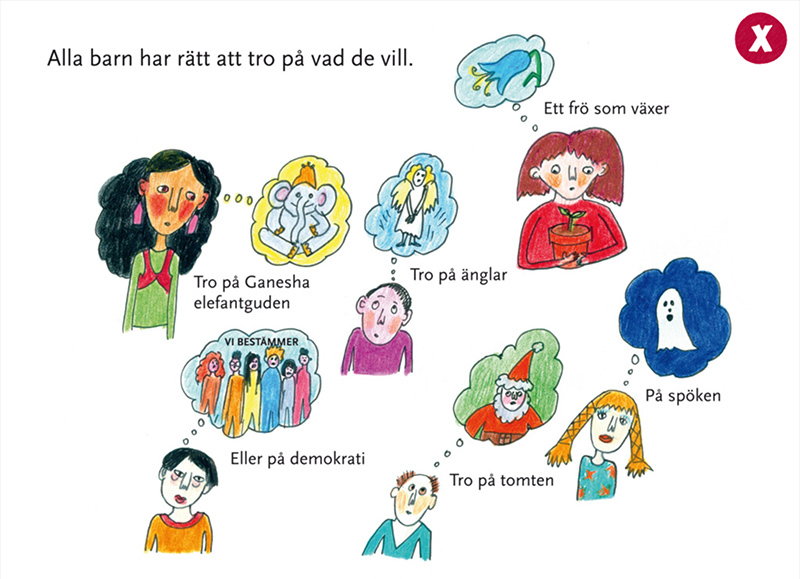 Popular books and characters that have included e-books or apps to books and other merchandise include Stina Wirsén’s VEM? app(for iOS) that lets the parent choose to read themselves or let the narrator read to the child; the Mamma Mu-series that has apps for point-and-click or swipe interaction, narrator’s voice, and other audio and image elements, or the puzzle and learning apps of the Pettson & Findus-series by Sven Nordqvist (books published by Opal Publising, apps by Filimundus).